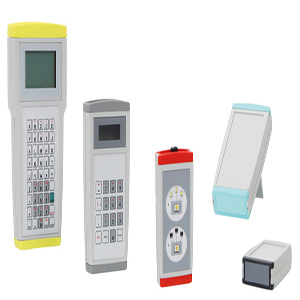 When using hand-held enclosures “off the peg” developers as well as marketing departments often have to make comprises with regard design, colour, technical possibilities and dimensions. BOPLA-ARTEB is the perfect packaging for your electronic equipment. It comes in an ergonomic design with an individual touch, while offering IP 65 (with accessories) and immense functionality. You will appreciate the smooth design of this series, and benefit from the wide spectrum of options it offers. It gives you product protection for your equipment. Of course you can choose between different types of voltage supply. We offer a wide range of different batteries for this purpose. Insertion slots right behind the caps (not for ART 115) can accommodate your front panels, enabling you to fit in another mounting surface. 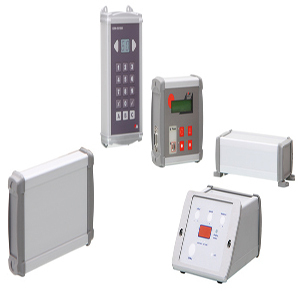 E.g., this can be used for components requiring momentary access during an application. This cap can be fitted again for protection after using the unit. 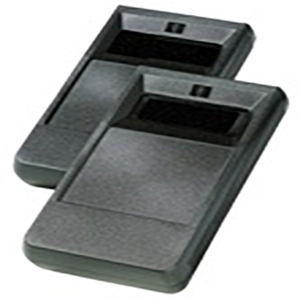 Depending an application area and size chosen, mounting space has been provided for PCMCIA or chip card readers. As a standard, each cap can be opened using a tool such as a screwdriver. For a more convenient way of opening, a hand-operated catch look is available as an accessory. It is thereby possible to open the caps readily by hand – no tools are required. 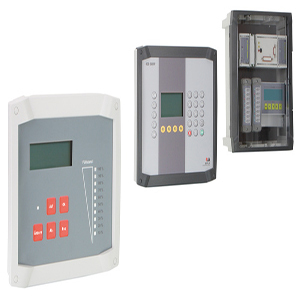 Usually empty enclosures are available in one or two basic colours, allowing custom designs to be created only by designing a possible membrane keypad. SKU: ARTEB. Category: BOPLA. 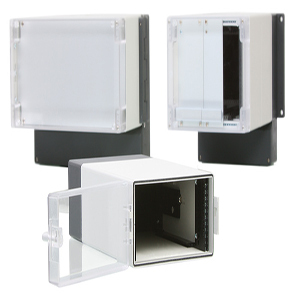 Tags: bopla, BOPLA Arteb electronic enclosure, electronic, enclosure, PCB enclosure.